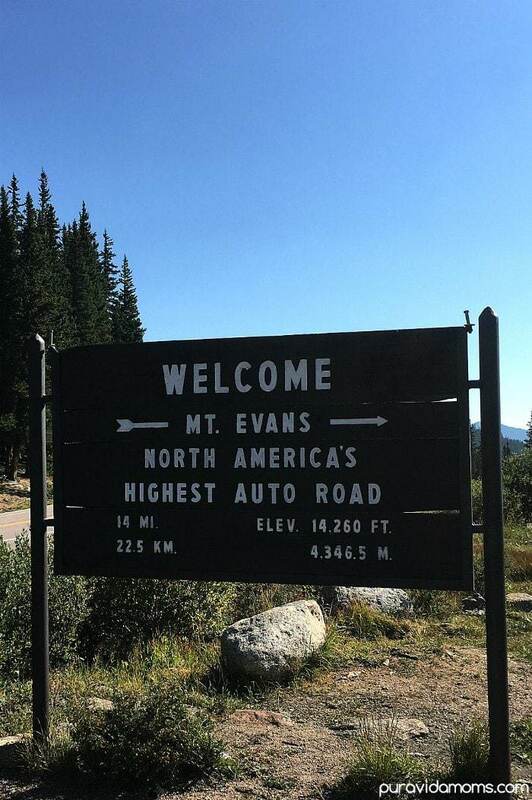 Mount Evans is the highest paved road in North America- and an incredible adventure for the whole family. 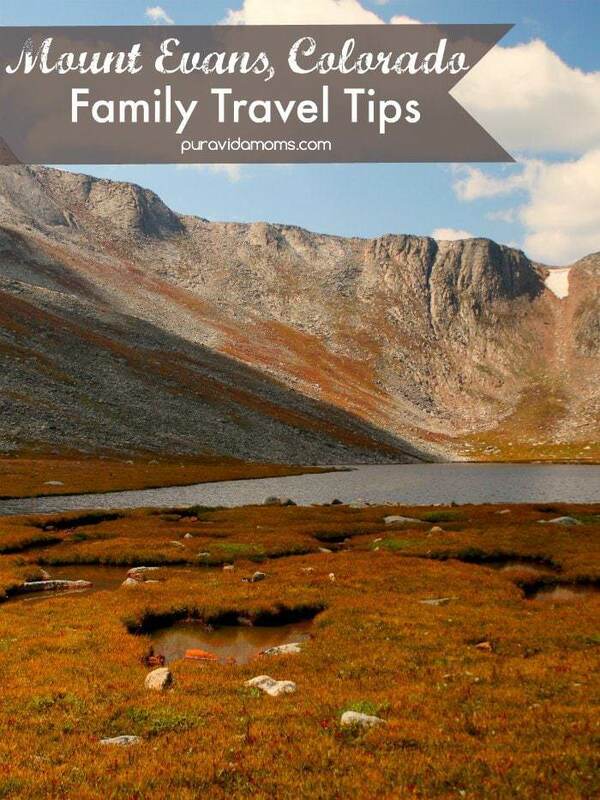 The summit is a must experience family travel destination! 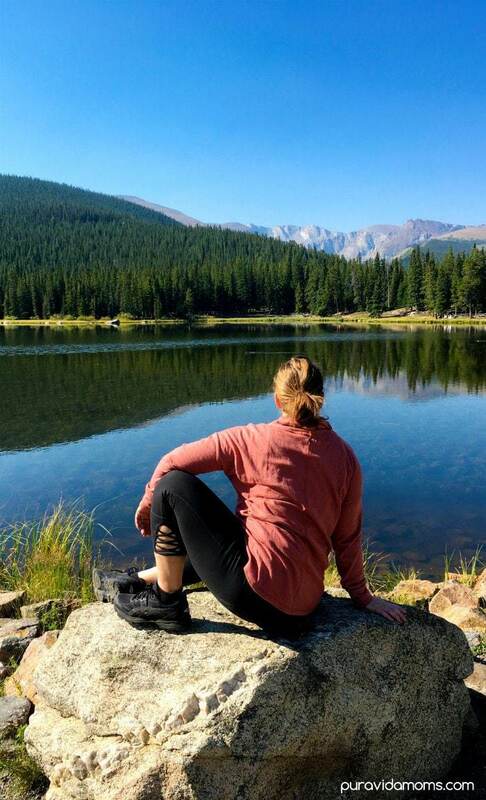 This past Saturday, we woke up super early to head up to Mount Evans and experience a unique Colorado day trip. This trip is motivated by prAna clothing- I received a new outfit from the company in exchange for photographing myself doing something awesome. I’m free to share my honest opinion about the clothes- and of course that’s what I’ll do- in addition to sharing with you a special 15% off discount code! 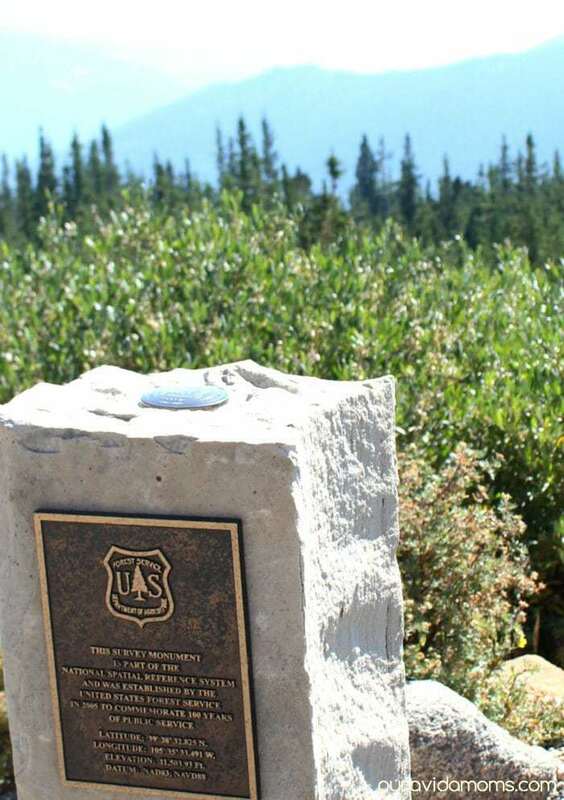 The trip to Mount Evans is about 2 hours round trip from Denver- if you don’t stop at all. But there are so many amazing places to stop that we spent about 6 hours on our trip. We started at Echo Lake where we ate my homemade breakfast burritos and saw lots of ducks sunning themselves. It looks like there is a great Chicago Lakes hike from here- an 8 mile round trip. I was glad I had my prAna Penelope Pullover sweater as it was a bit chilly early in the morning and I stayed nice and warm. We then headed to Mount Evans- there is a $15 fee per car to enter the park. The Rangers prefer cash, and were super grateful we had $5 dollar bills with us. The Park Rangers are super friendly- asking us where we were from and what brought us to the park. 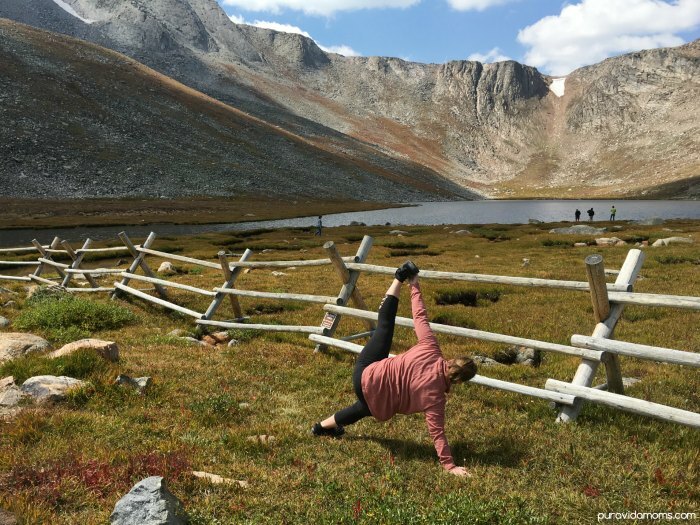 I said “I’m here exploring with prAna clothing.” The Park Ranger literally gasped and said “I LOOOVE prAna!” Since their mission is “to inspire healthy, active and free-spirited living” I feel like they are hitting the mark with Coloradoans! At our first stop- the Nature Center- our girls received Junior Ranger badges and workbooks about caring for our planet. There are great hiking trails from the Nature Center, and we saw hummingbirds, voles, and countless beautiful flowers and trees. It was at the Nature Center that I saw this awesome National Parks memorial. It made me think about how important it is to care for and protect our planet- it is so beautiful! It’s a great reason also to continue to be conscious consumers- which prAna definitely supports. Check out this video that explains how prAna pushes towards the goal of 100% sustainability in fashion. 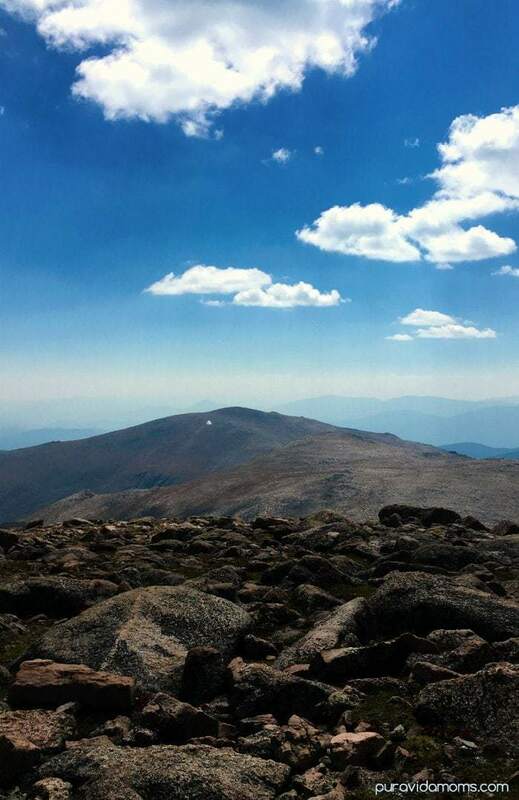 We then headed up to the Mount Evans summit. We saw a huge herd of mountain goats crossing the road, and my girls were thrilled. Also- I was super glad that we headed up early as there was a ton of traffic behind us. I am not going to lie people- the last 11 miles up to the summit of Mount Evans is a pretty intense drive- I’d dare say harrowing. There are literally huge drop offs, treacherous curves, and, in true Colorado form, bikers riding along the edge of the road. Plan for a slow drive and stunning views. It’s absolutely, breathtakingly incredible. 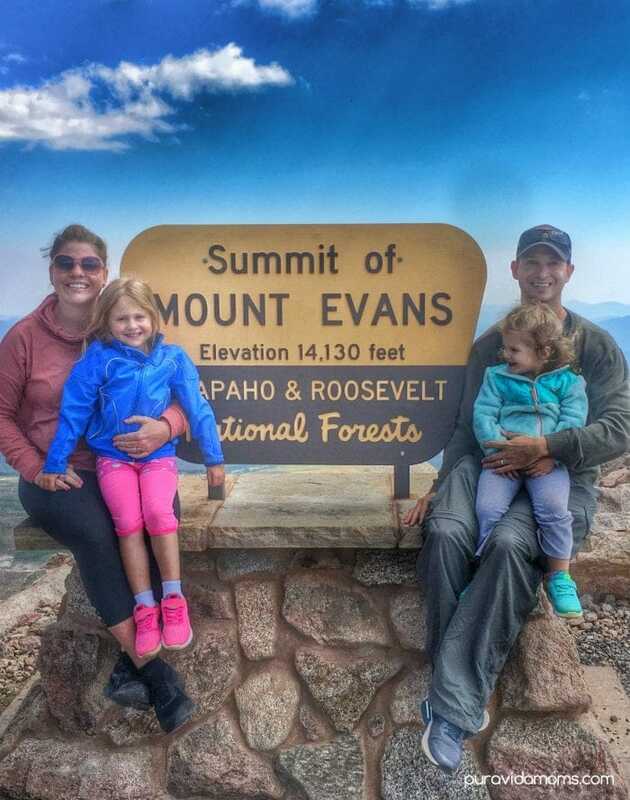 The summit of Mount Evans is spectacular- 360 degree views of the Colorado Rockies and you can even see the Denver skyline on a clear day. The air at 14,265 feet is thin- and it’s cold. There is no running water available in the national park- so make to arrive hydrated and have enough water. Altitude sickness (link) is a real thing- so please come prepared with water, snacks, and warm jackets. I was super comfortable in my prAna Chakara Deco Crop pants, my Penelope pullover and I added my puffy winter coat too. On the trip back down we planned to stop at Summit Lake- the park ranger said there is a short hike to a lookout that would be perfect for our family- not to mention beautiful. However- our girls fell asleep in the car and we just couldn’t bear to wake them! So just a quick stretch for me while the kids snoozed in the car. I do believe you’ve planned my next weekend’s Colorado activity. 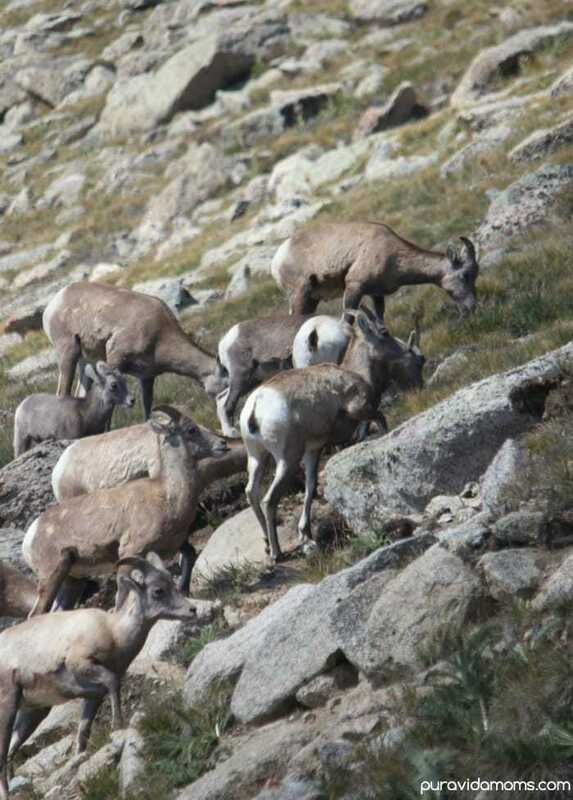 Looks like an amazing day, complete with bighorn sheep!